Something new to craft with, these wonderful Bases were created to jump start the mixed media layering process when a textured background is desired, but there is not time for stencils and mediums. Get the look with this fun new patented technology that starts the layering process, but offers so much more that the traditional techniques cannot. Bases can be used as is or altered to change the color, distressing or finish. You can transform them right on the acetate carrier giving you the space to alter them without changing the look and color of you mixed media or craft base. 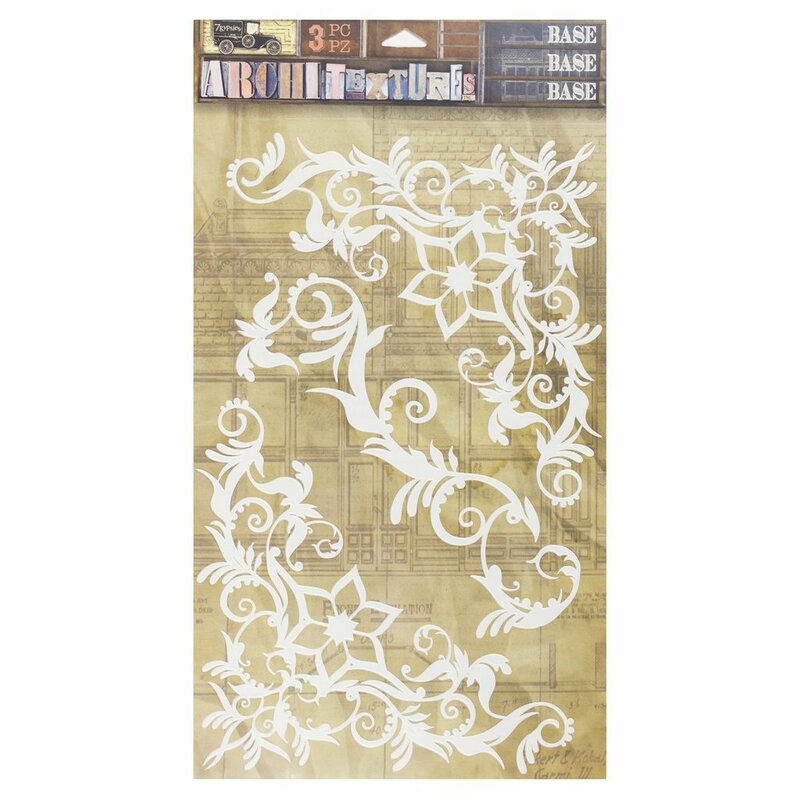 When it is the way you want it, the flexible, adhesive embellishment can be added to create a background or a decorative element. Many of the Bases can also be used as stencils or masks giving you additional detailing as you create your background. The adhesive is perfect for paper, but we suggest using additional glue or a topcoat if adding the pieces to textured surfaces. The flexible piece can be wrapped around book bindings, corners or textures surfaces. The unique material is so easy to work with and can easily but torn or cut to get the look you want.